Your windows have 3 basic functions: They allow you to see out. They let natural light in. They control the outside weather elements. When blinds, drapes, shades, or shutters are used, they reduce or eliminate your ability to see out. Visible light is reduced, so it darkens the room and they do not do a very good job of controlling the elements, like the sun. Most window treatments allow the sun’s heat to pass right through the glass, and into the rooms. Madico Window Film (tinting) allows your windows to remain the window it was designed to be. It does this by allowing the visible light in, allowing you to see outside, and most importantly, stopping the unwanted heat, harsh glare and damaging UV light at the glass surface. Increased comfort and reduced temperatures are experienced immediately after installation. Generally, window film provides specific personal and property protection from the effects of the sun as well as added safety and security in the events that result in broken glass. 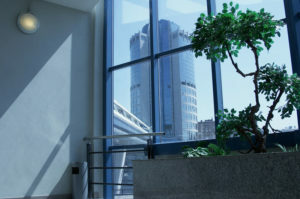 The concept of window film for use in solar control flat glass application dates back to the early 1960s. The original film design objective was to control the heating and cooling imbalances that result from solar loading. Such early films were found to reflect solar radiation back from a window, preventing the warming of inside surfaces normally hit by direct sunlight while still allowing vision through the glass. As the window film concept was developed and improved upon, a demand developed for colored sun control films that would complement architectural design. Coloration of film was achieved through various means to produce colors such as bronze, gray, silver, etc. The energy crisis of the early 1970s prompted an interest in another aspect of window film use: the reduction of heat loss to the outside. It was discovered that polyester film tended to absorb and reradiate long wave infrared heat rather than act as a transparent medium. Through experimentation, new film materials and constructions were developed that enhanced this characteristic. These films greatly improved heat retention within a room’s interior. The efficiencies of solar control window films are closely related to local weather conditions, building orientation, window size, and other factors such as exterior shading conditions. However, with escalating energy costs, products such as window film are increasingly valuable as an investment for commercial and residential owners and commercial facility managers. 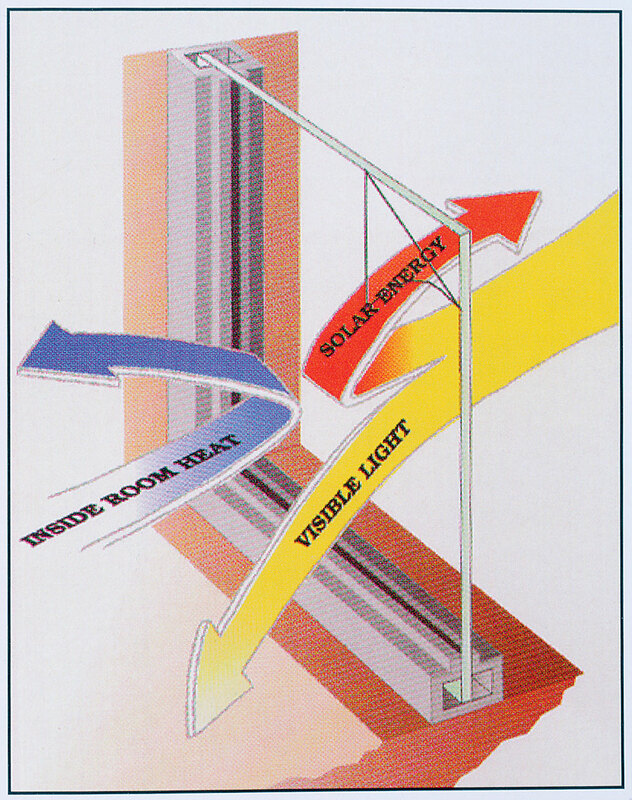 There are many types and constructions of solar control and safety window films. These films are considered in the building industry to be “retrofit” products; that is, products to be applied to existing buildings as opposed to use in new construction. In their simplest forms, window films are composed of a polyester substrate to which a scratch resistant coating is applied on one side; a mounting adhesive layer and a protective release liner is applied to the other side. When the release liner is removed, that side of the film with the adhesive is applied to the interior surface of the glass.